Clear, the morning starts at freezing and is slow to warm, as I ride into the jagged boundary between Alberta and British Columbia. The ying to Newfoundland’s aged, rounded and spare yang, the Rockies complete Canada’s parenthesis of spectacle. Climbing the 93 into gray skies we reach Continental divide, the split of North America’s lopsided fraction. 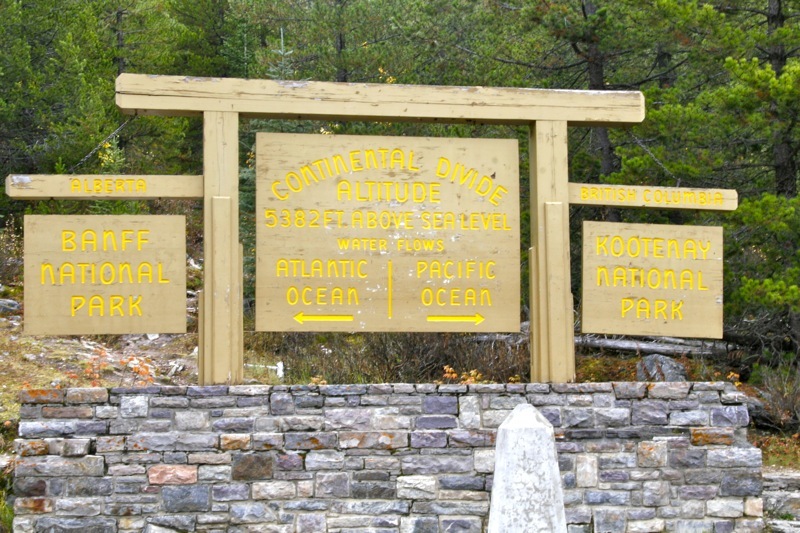 On the eastern side water journeys across a continent to the Atlantic, on the West it courses across British Columbia to the Pacific. The cold is biting and the fantasy of grip heaters returns. Then I pass though Sinclair Canyon outside of Radium and into late fall sun. Southbound on the 93, along Lake Windermere and then Columbia, there is autumnal clarity of crisp pine scented air tinted with creosote of the season’s first lit fireplaces. The weather entrances, I detour into Kimberly, British Columbia’s “little” Bavaria, for lunch in the sun. Then, duplicitous, the elements strike. Cold drizzle reaches out to meet me from Castlegar, and after a stay with friends, it escorts me out. 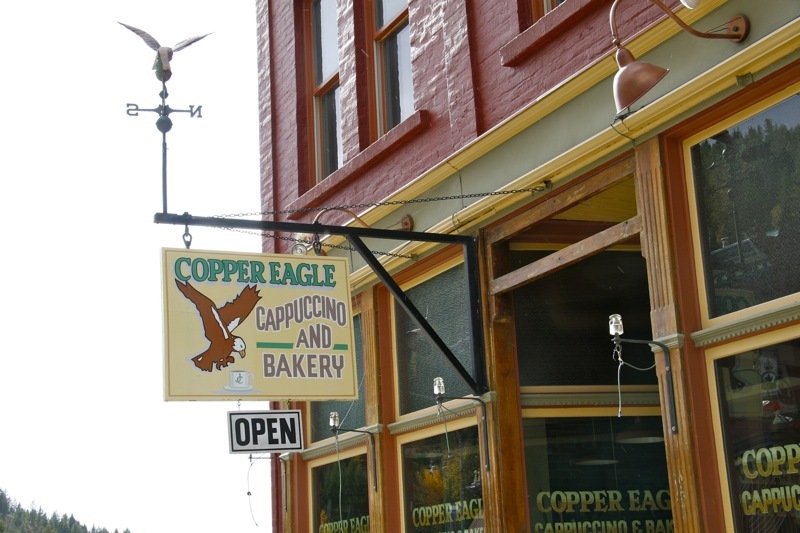 At the Copper Eagle in Greenwood, the thick, moist and hearty fresh bread combined with my need for something hearty makes for the best egg sandwich ever (sorry, Mom). In the background the CBC plays, as it does in gas stations, coffee-shops, road houses and lobbies across rural Canada – a lo-fidelity frequency that binds this country together like a quantum weak attractor. We doubt the CBC’s importance at our own risk, every coldly economic slash of budget diminishes our own Canadian identity by destroying the radio’s unique mix of commonality and local flavour. Anywhere in any small town you can ask, “Did you hear that story on CBC?” and the conversation opens. Less and less though the opposite is true, as local bureaus close and the stories that bind communities undeserved by other media together fade from the airwaves. By the time I summit Manning park media musings are put aside, my clarity of vision obscured by a snowline is 25-meters above me and sleet is spreading across my visor. The Multistrada’s front end is hunting, the tire succumbing to the steady wear of distance and loosing it’s remaining traction to the cold. All that remains before the final leg is the hospitality of friends and the warmth of their fireplace. Riding into Vancouver, anticipations spin; visiting friends, my own bed, my partner, familiar places, the favorite coffeeshop and a morning routine that doesn’t involve repacking an explosion of gear and clothing into the confines of panniers. The Multistrada and I flow through the cities traffic, to road weary to be put out by it’s inconsiderations. I’m distracted by the 1000-little changes that mark my absence; new construction zones, a smattering of new shops, a smattering of failed ones, and pre-Olympic construction at a feverish full tilt. Full of men in hardhats and cranes, Vancouver will be a very nice city once it finishes renovating. Everywhere I look is transition and I feel dispossessed, this Vancouver is slightly parallel to the one I left. There is another unexpected feeling, an urge really. “Keep going!”, it runs through my mind shouting irrationally, “Head south! Keep going.” Quiet please, I’ll get around to that too. Like a B-Movie serial there are further adventures. I’ve cracked my visor to keep it from fogging in the cold air. The frosted blast whips up into my eyes making them run creating my alibi. It’s January and an appointment to drop off the Multistrada is made for first thing in the morning, black ice and all. In the sterile pre-grand opening garage bay of John Valk Ducati, the Multistrada sticks out, warn, well-used and well-loved. There have been companions on this trip, friends, friends of friends, new acquaintances, llamas, Kevin as “Control” on the far end of the phone, Jim McKenna of Ducati for the occasional check-in conversation, Justin and Chris represented by 100s of text messages, A.A. Gill whose insightful travel writing served as inspiration and countless others along the way, but the Multistrada has been the most constant. 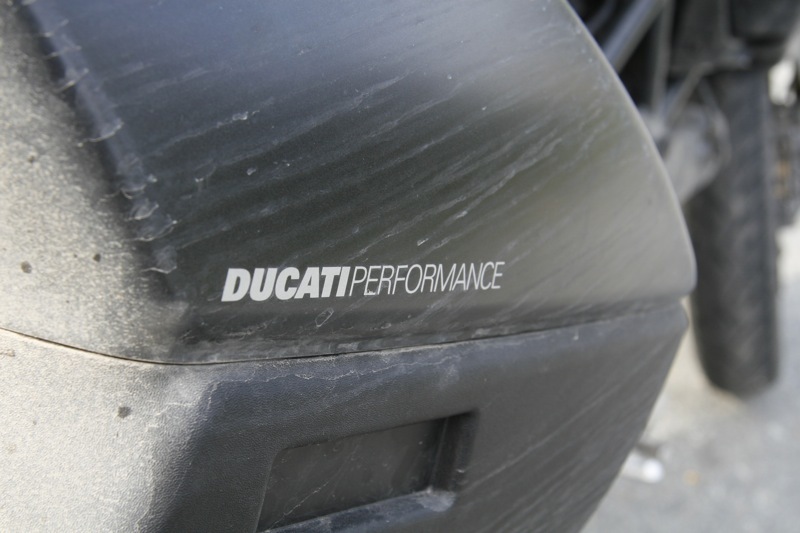 The Ducati Multistrada has served beyond the call, demanding only a fresh rear tire, oil and gas in over 17,500kms of riding. It never failed me on the serpentine Cabot Trail, NB’s fractured pavement, the red dirt roads of PEI, hard-packed dust of the prairies, the muck of Calgary’s construction, BC’s sleet. How could you not become emotionally attached to such faith? Is there any question why I’m blaming the cold air? 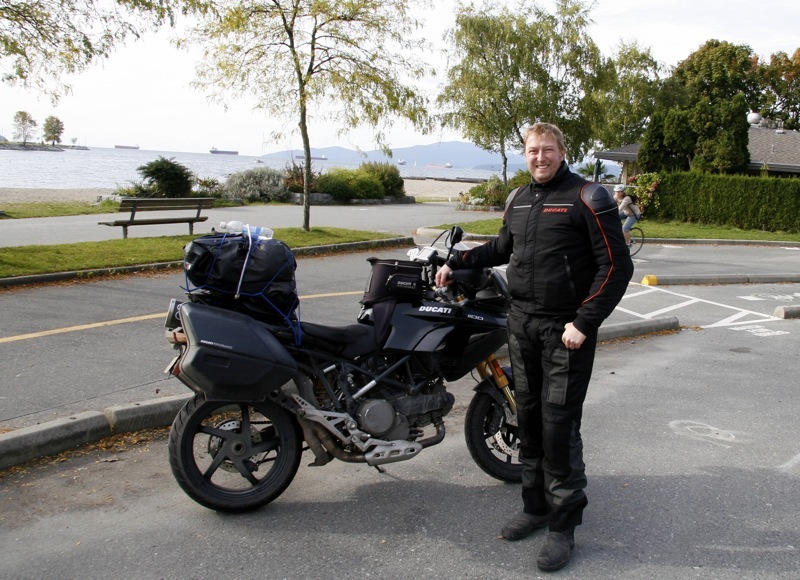 The Multistrada has carried me across the Canada, connected me with this country’s essence, history and people. It’s taken me on an adventure that so many are capable of, and so few take. It’s convinced me that before flying away to tropical destinations, we should consider something more intimate, a relationship with our home; there is grandeur, spectacle and magnificence here in spades. In the end the intrepid Multistrada was as instrumental in writing a love letter to my country and home as any pen. A few tears? Yes, perhaps, but that’s how you thank a friend when you part ways. Kevin Miklossy, Jim McKenna and Steve Hicks of Ducati Canada, Kevin Davis, Tracy, Dirk and Piper, Mark and Ben, Carol Brisbin, Todd Brisbin, Carol Horne, Randal Shirley, the Canadian Tourism Commission, Tourism Prince Edward Island, Nova Scotia Dept. of Tourism, Tourism New Brunswick, John Valk Ducati, and all those along the way who enriched my travels.